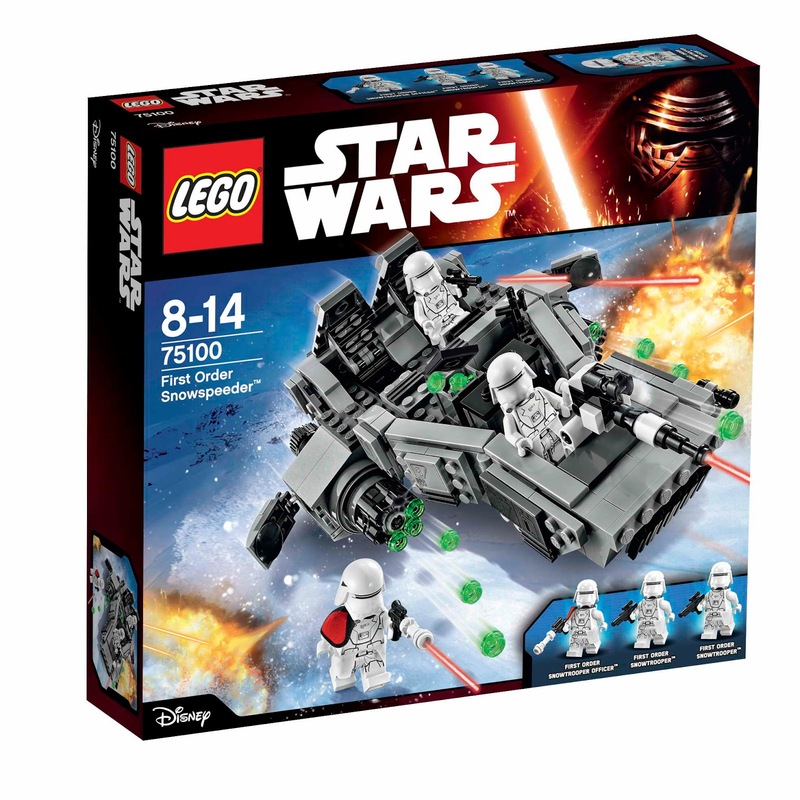 come with a first order snowspeeder. 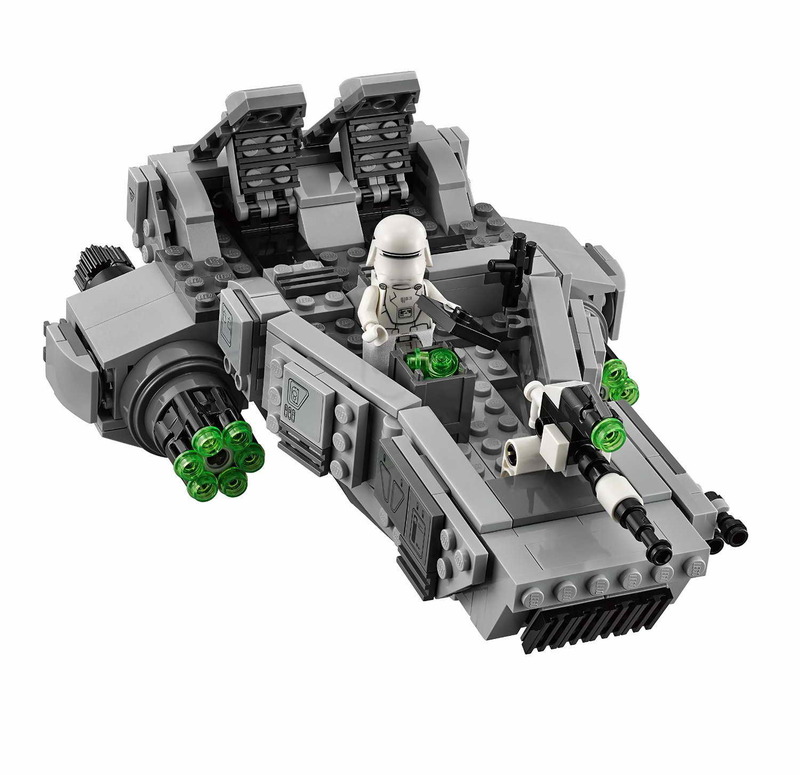 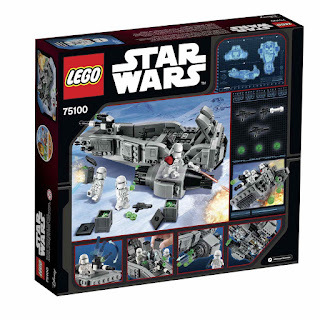 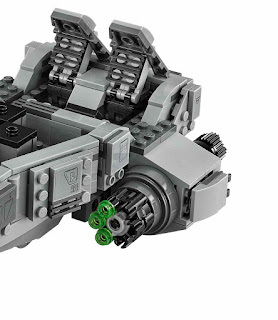 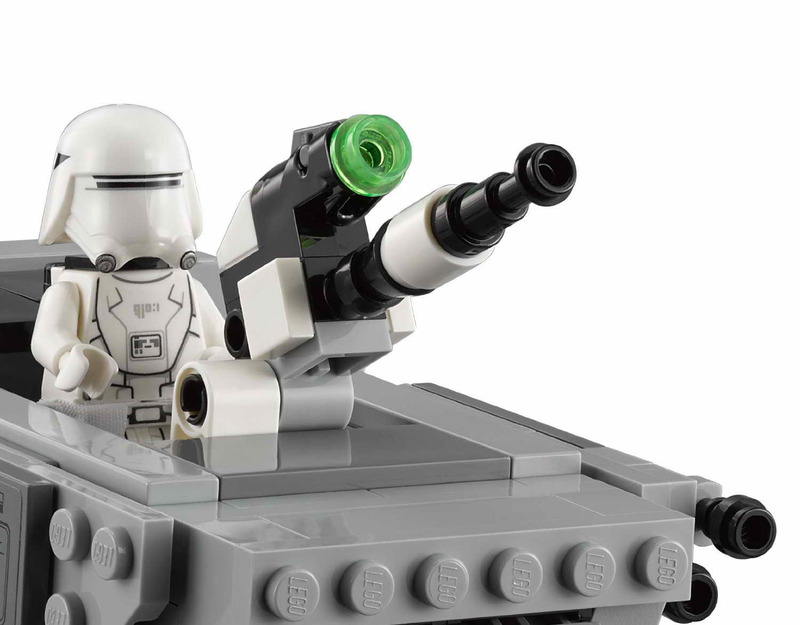 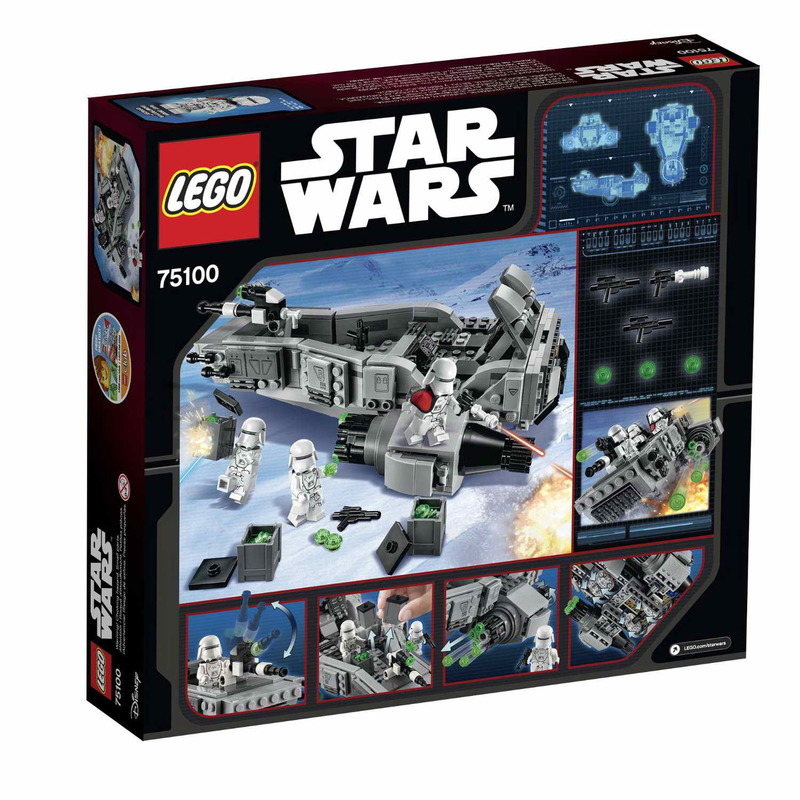 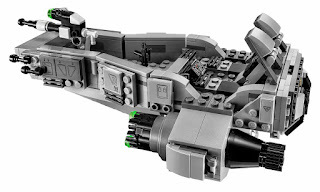 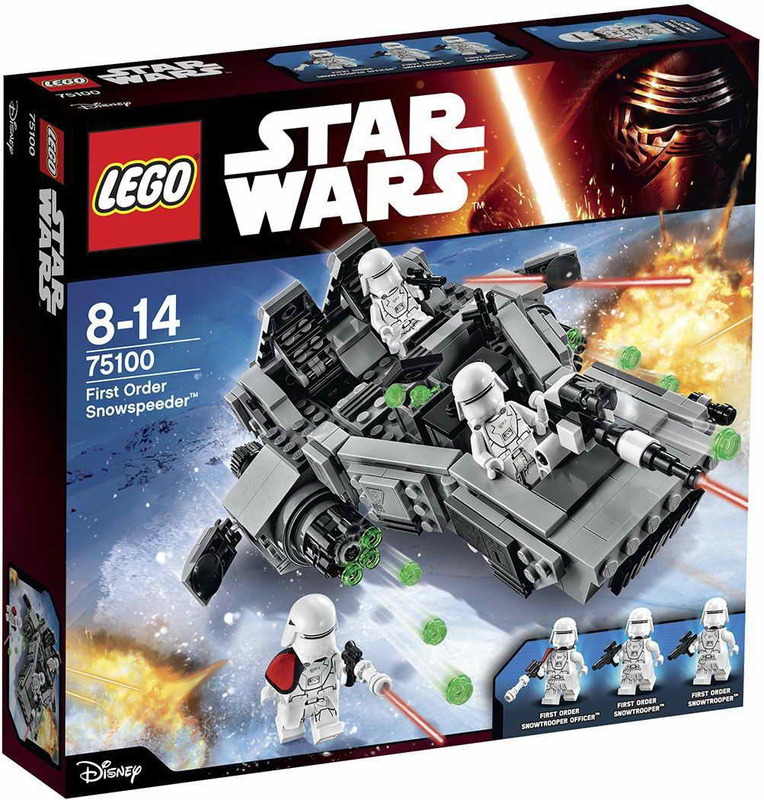 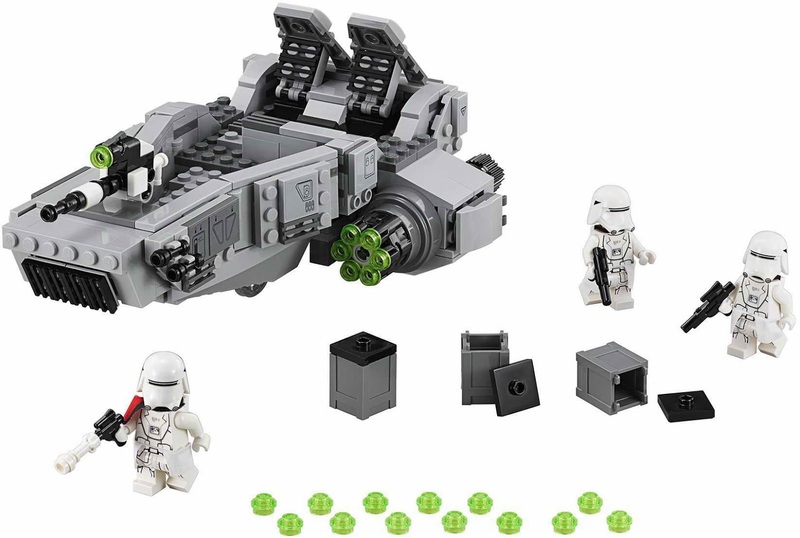 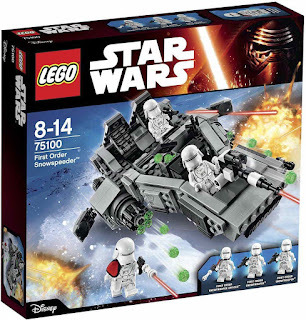 the speeder has a storage compartment, a cockpit mounted stud shooter, rapid fire shooters and hidden wheels. 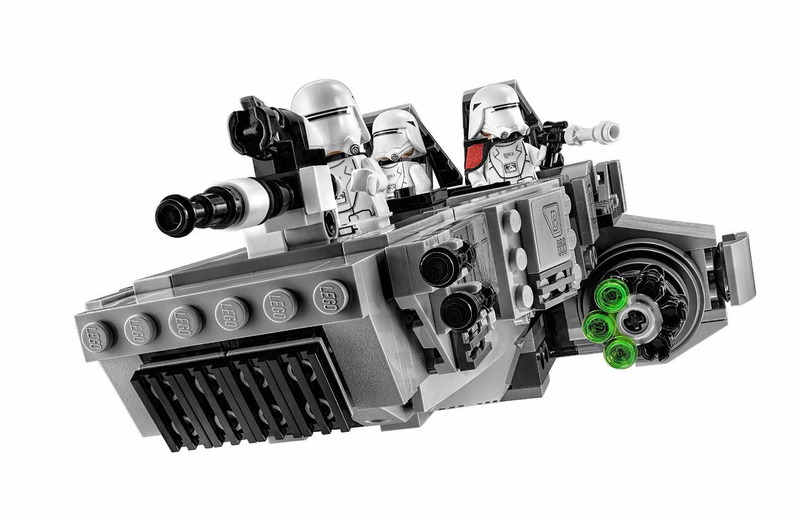 also included 2 blasters and a modified blaster. 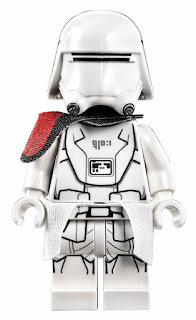 minifigs included 2 first order snowtrooper minifigs and a first order snowtrooper officer minifig.